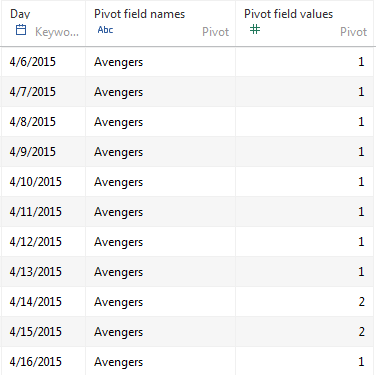 Who Won the Google Search Fight on 'Avengers' Opening Weekend? In honor of the new Avengers movie, we blogged about our favorite superhero-themed vizzes last week. We loved seeing how people have visualized everything, from the history of Marvel comics to the evolution of “Avengers” covers! This week, we couldn’t wait to look at the data from opening weekend itself. We were also curious to see how the release stacked up against another big event last weekend, the boxing match between Floyd Mayweather and Manny Pacquiao. 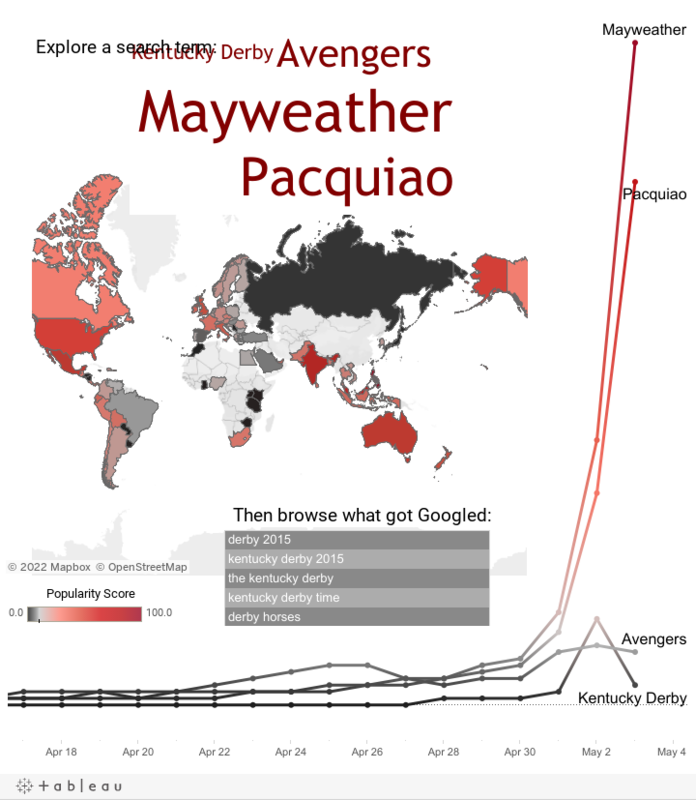 Interested to explore why the boxing fight was so much more popular than the Avengers? We put all the data in a spreadsheet so you can analyze it yourself. Download it now! So what are you waiting for? Download the data set today and start playing with it in Tableau Public! And don’t forget to share your creations with us—we’d love to see what you build.